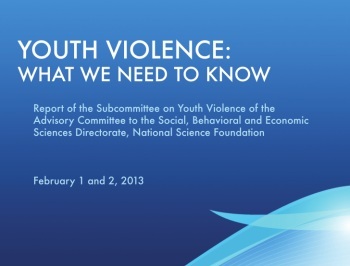 The Parents Television Council claims a new report demonstrates a "strong correlation" between violent media and violent behavior, but the Federal Bureau of Investigation doesn't seem to agree. "A comprehensive review of more than 381 effects from studies involving more than 130,000 participants around the world shows that violent videogames increases aggressive thoughts, angry feelings, physiological arousal (eg., heart rate, blood pressure), and aggressive behavior," states the recently-released report Youth Violence: What We Need to Know. "A meta-analysis of 26 studies involving 13,661 participants found that violent media exposure is also significantly linked to violent behavior (eg., punching, beating, choking others), although the effects are smaller than for aggressive behavior." Neither that introduction nor the report's conclusions - such as, "Some research has shown that the gorier the videogame, the larger the effects [on players]" - are terribly surprising, given that the subcommittee that wrote the report is co-chaired by Brad Bushman, a longtime critic of videogame violence, and cites his work several times. Nor is it a big shock that the Parents Television Council, which has previously accused the Supreme Court of the United States of being in the thrall of the videogame industry, is standing firmly behind it. "Once again we are faced with evidence showing a strong correlation between violent media and an child's increase in aggressive thoughts and behavior, as well as a decrease in empathy for others," the PTC said in a statement following the release of the report. "If we strive for a less-violent society, then we must address the root causes of our violent culture. The entertainment media's obsession with graphic violence is one of the root causes." But speaking on Face the Nation, former FBI profiler Mary Ellen O'Toole said she, and the FBI, don't agree with that position. "It's my experience that videogames do not cause violence. However, it is one of the risk variables when we do a threat assessment for the risk to act out violently," she said. O'Toole explained that the FBI looks at gaming habits in conjunction with other factors, including isolation and the exclusion of other activities, when making its assessments of the likelihood of violent behavior. "But again, it's important that I point out as a threat assessment and as a former FBI profiler, we don't see these as the cause of violence," she added. "We see them as sources of fueling ideation that's already there." In the same segment, Texas A&M Professor Christopher Ferguson also noted that research on the impact of violent media has been "inconsistent and in many cases methodologically flawed," and also pointed out that societal data over the past few decades, during which time videogames have grown increasingly more popular and graphic, shows that youth violence in the U.S. has fallen to its lowest point in 40 years.